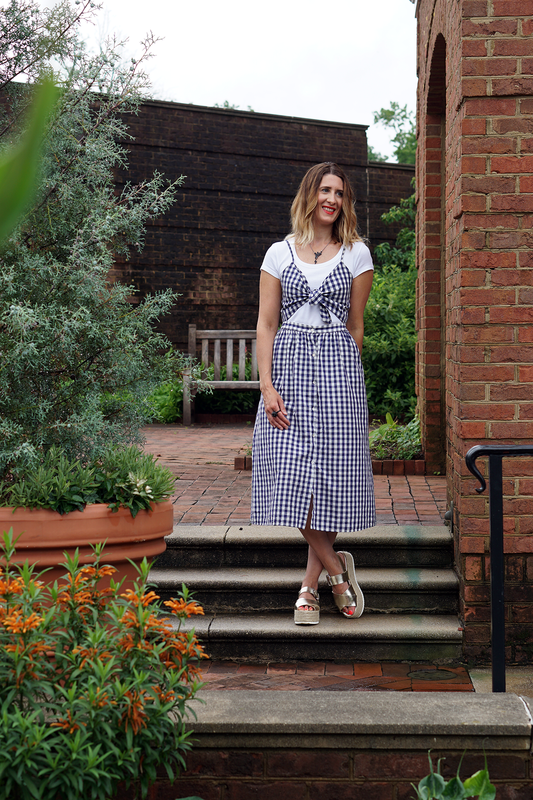 I’ve featured quite a mix of pieces in my Three Ways to Wear posts but I fear I’ve been neglecting the basics so I’m rectifying that right here, right now, with a three ways to wear ‘the basics’ edition. Y’all know what the basics are, right? They’re the pieces that never date, that aren’t on trend or in fashion, that you can always rely on. Jeans, plain t-shirts, cashmere sweaters, pencil skirts, black pants, a white shirt, a pretty blouse – all these transcend the trends and they’re all ridiculously versatile. The first item I want to feature is a plain white (or off white) t-shirt, it’s an item that most of us have at least one of (and some of you have more than you need) but are you taking full advantage of them? They are one of the most loved classic wardrobe staples for a reason – their versatility is off the scale! They can be worn at home, to the office, on a night out, hiking…need I go on? 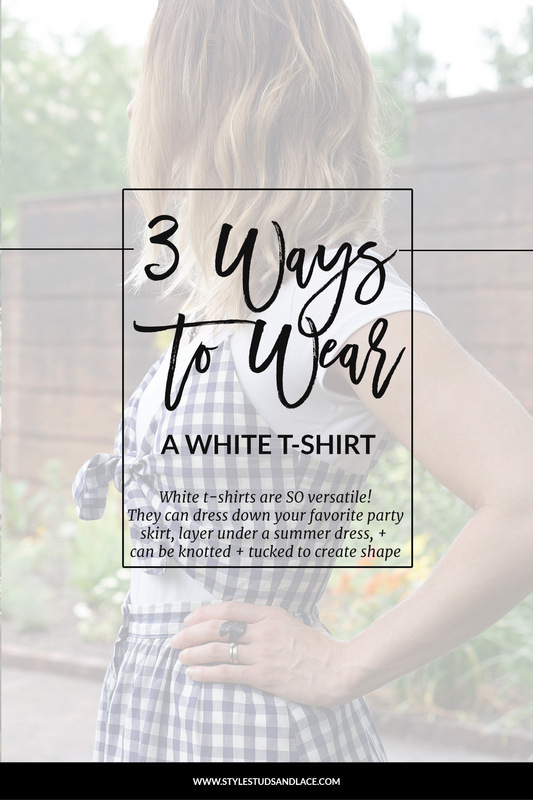 Well, here are three ways you can wear this rather nondescript item. And because 3 ways doesn’t quite do the item justice, I will be sharing another three later on in the season so be sure to pop back! I love to tie my tee’s in a knot, it gives them (and me) more shape. I’ve teamed this look with relaxed denim and high tops as I wanted a really casual feel, but I’ve worn it with heels and skinny’s and it looks just as good. It also looks fab with skirts…the possibilities are endless my friends! A great way to dress up a plain white t-shirt is to mix it with luxe fabric’s and metallic’s like this silver skirt. 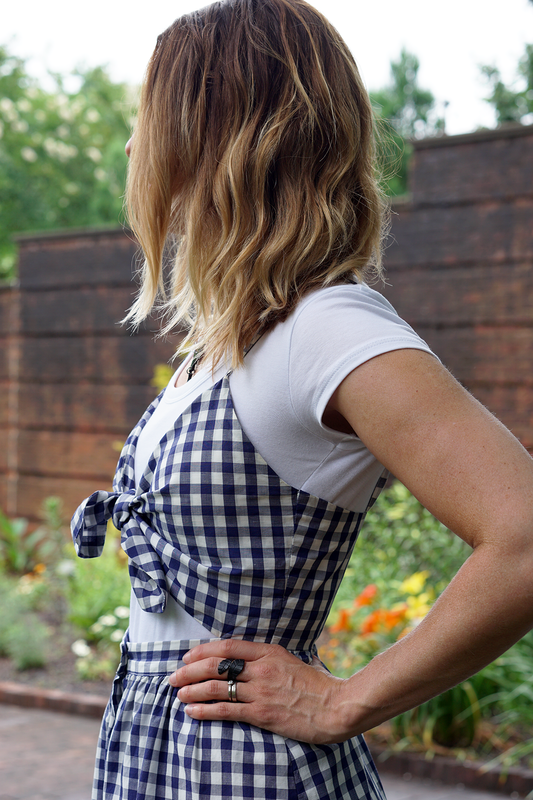 I love this tee with my silver pleated skirt, it’s simple and fuss free. I’ve added a little edge with the studded belt and shoes to make it a little more ‘me’ and if the weather cools I’ll throw my trusty leather jacket on top. 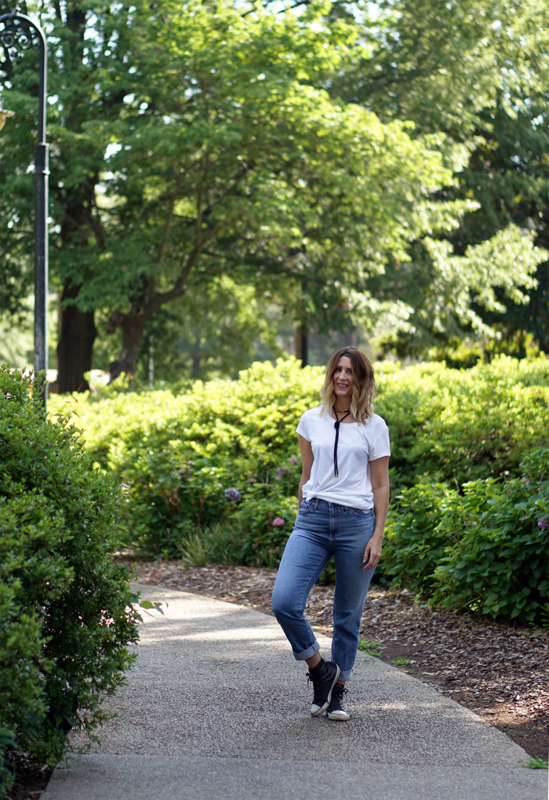 See how easy it is to dress up a plain tee?! Plain t-shirts are perfect for layering! I have a few styles to hand, in a range of necklines and sleeve lengths, and it makes shopping my closet that much easier. I’m pretty sure that this particular look isn’t going to be to everyone’s taste, but I hope it will encourage you to try some layering of your own and inspire you to come up with a look that fits your style. Experimenting is fun, people! When you’re layering dresses it’s worth playing around with different necklines as each one will give you quite a different look. On a side note, I’m a HUGE fan of layering and tee’s under dresses, so if you have one, give it a go! Are there any basics in your closet that you’d like me to feature here on the blog? Drop me a line here or comment below! If you liked this post then why not check out this post I wrote about wearing plain camisoles!